The Popeseye challenge started as a tongue in cheek challenge between a couple of guys who dared each other to eat the biggest steak they could. We recorded their attempt, and successively latter attempts were made, some falling short, and others toppling the reigning champions with their carnivorous feats. 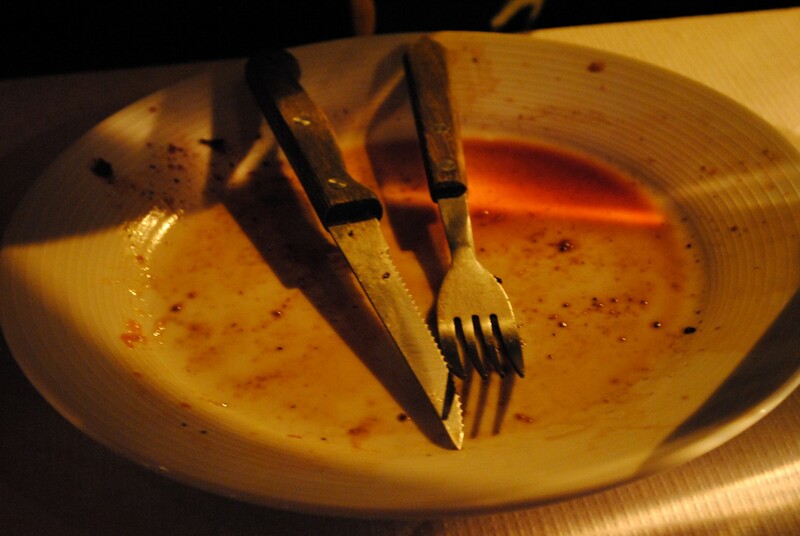 If you want to take up the Popeseye challenge, you will need to finish a steak (or selection of steaks) totalling a larger quantity than what is written on the board in each restaurant. If you are up for the challenge, please ask one of the staff. Please remember, you will need to finish your chips too. If you beat the record, you might even get a free pudding.